As I’ve said throughout this 7 day journey, I am a private person. I haven’t openly spoken about things that have gone on in my life – unless they’ve long passed. I’m a firm believer that God has a plan for everything in our lives. He even has a plan for us to succeed and be blessed after we’ve made decisions that were out of his design for us. I’m also a firm believer that everything in our past are tools used to shape us into the person we are today. I am thankful for the last 17 years of my life, and I have been so blessed. I feel it’s necessary to say this before continuing on because I don’t want the words that follow to be skewed in any way. I had a dream. It’s the same dream many have and strive for. The thing with me is not that I think I’m different or better than the next person, but when I have a dream or goal in mind, I never even entertain the idea that it could go any other way. My dream was to get married, have kids, and be the first in my family to stay that way and create memories together that follow us into our last moments of life. I wanted to be the elderly couple holding hands and laughing at something that happened decades before. This was my dream. Even before we married, we struggled immensely, but we continued moving forward any way. We were very good at making it appear things were great when, in actuality, we were merely best friends living as roommates from the beginning. And that worked off and on for a while. We even involved ourselves in participating and even in leading small groups for married couples in hopes we could find that kind of bond between us. We desperately tried to force that bond to happen, but for some reason, it just didn’t. As I mentioned in a previous post, things kept in the dark are given room to grow, and it’s an open invitation for the Enemy to play. As the years passed, we added more to that dark area, and the Enemy didn’t pass up the opportunity to throw the ball to him every so often and to me every so often. Before we even realized it, both he and I were playing a friendly game of catch with our rival, who had a plan himself. At one point, we came to terms with the knowledge that we both had done some irreparable damage to one another, and we were not showing any signs of letting up. We decided, for our kids’ sake, we couldn’t continue living how we were, so without telling anyone, we separated. I can’t speak for him, but I can tell you I found myself in some incredibly dark times, and I just stopped. I stopped reaching out to people; I stopped writing; I stopped going to church; I stopped . . . living. I look back at my 2012-2013 teaching year, and I was in a fog. I was deeply depressed, and I honestly can’t tell you much that I lived during that time. There were a few times I prayed we could make it work, and I would go back with those hopes, but there was so much anger in both of us, and we couldn’t seem to get ourselves on the same page. The second half of the year, though, God really started working in me showing me what he wants for my life, and I knew where I was at that moment couldn’t possibly lead me there. I became friends with a group of people who continued to ask me to church with them, but I always declined. Finally God used my new friends to call me out on not going to church, and I knew they were right, so I went with them. It was the beginning of me finding light again in my darkness. However, not too long after I was served with divorce papers in the parking lot on my way to work. Even through the divorce process, there were times I prayed for my heart to be open and try to reconcile, but I was pushed away with each attempt. I stopped letting that relationship consume my every thought and began to focus more on my faith and my relationship with God. Drastically, everything inside of me changed. Despite the chaos surrounding me, I was at peace inside for the first time in a long time. God was reminding me of who I am and the plans he has for me, and I found myself craving to be side-by-side with him again. The most amazing thing about God is that he is always there just waiting for us to walk beside him. He started speaking to me again and often, and I remembered how wonderful it is to be in his presence constantly. In the last weeks of 2013, I decided to open myself up again to possible restoration in my marriage, but this time I was going in with a new heart and new thoughts and with God right beside me. Unfortunately, it became clear that it wasn’t going to happen, so I decided I would no longer pray for changed hearts for us, and I would no longer allow myself to be stagnant in my situation. God was moving in me, and I needed to allow myself to be moved. As hard as it was, it meant I had to move without the person beside me who had been beside me at some capacity since 1996. This year has already been so incredibly full of God’s love and blessings, and I am looking forward to living out his plan for me. I’m in a good place. No, it’s not where I ever thought I’d be, but it’s my Plan B, apparently, and God can and will bless it just as I know he is and will continue to bless and protect our kids. My Plan B is in its beginning stages. I have faith it will be blessed. From a post written December 2, 2013 , you can read what I mean by that. What Happens When Plan A Fails? Thank you so much. People have said some awful, horrible things about destroying the lives of our kids, but I refuse to receive those words. My God can do anything, and I have complete Faith that he is going to continue to hold them in his arms and they are going to feel security and love as much or even more than they would in any other situation. Thank you again. Misty – you are so right, God will bless you even in plan B. I have lived what you’re living right now and believe me, God does restore you and your kids. His redeeming love heals all. You are strong and definitely on the right path. Never listen to the negativity from others, don’t even acknowledge them. As you glorify God, He will lift you up to show the haters just how wrong they are. I’ve even had a few personally apologize for wrongfully judging me. God is good! I’m glad to see you’re writing again…I enjoy reading your blogs. Thank you so much. This week has been such a growing experience for me. 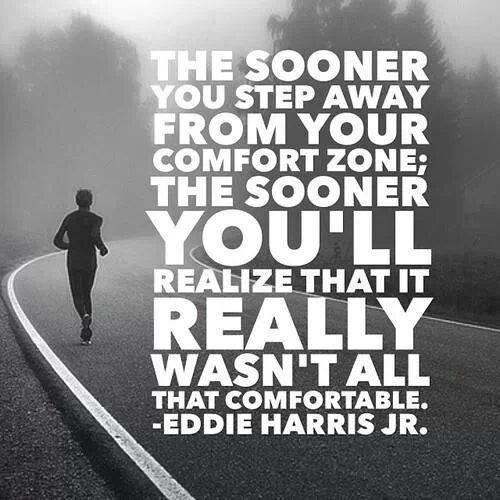 I don’t know that I’ve ever stepped out of my comfort zone in this way. I’m okay if I don’t do this type of stepping outside of my protective walls again 🙂 I just think it was needed in order for me to put my all back into my writing and speaking. It still might take a while to write the way I want to and to reach people the way I was, but it’s time to get back into it. Thanks so much for your encouragement.